Basement Waterproofing Contractor GTA for you! 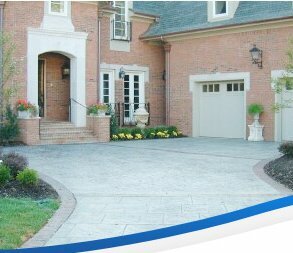 Toronto Basement Waterproofing Contractor / Company, Drain repair contracor AquaResist Inc. has earned a reputation as the best Wet Basement Waterproofing Contractor / Company in Drainage, Home Improvement, Underpinning, Basement Lowering Industrial / Commercial Contractor in Toronto, Mississauga and GTA. Our more than 15 years of strong customer satisfaction proves that we will stand behind our work for the long term. You can rely on AquaResist Inc. as on contractor for all of your basement needs. We are proud to serve industrial, commercial, and residential customers. We specialize in solving problems, such as drainag repair, basement waterproofing, foundation wall cracks repair, basement deepening, underpinning, walkout basement separate entrance, and concrete works. If you own a Toronto leaky basement, AquaResist Inc. - basement waterproofing contractor can transform it into the best room in the house! Don’t neglect structural/water problems, because they will only get worse, and can inflict major damage. By controlling ground water, surface water, and precipitation/runoff, we help you to protect your investment for the long term. Your basement waterproofing contractor experts can not only stop the damage, but restore your structure to “as new” condition – or better! AquaResist Inc. will give you a written estimate of the full cost to properly and permanently solve your basement/foundation problems. Even if you see no structural damage, wet or leaky basements promote the growth of fungus and bacteria which can endanger the health of your family. Additionally, moisture will destroy furniture, appliances, fabrics, or anything else stored there. AquaResist Inc. is your basement waterproofing contractor Toronto, Mississauga we can solve those problems before they cause serious/potentially dangerous complications – and if you accept our recommendations, we will give you a written guarantee that the problems are solved. Call us to repair your wet basement: 905-781-0672. Our Speciality: Outside waterproof basement walls, waterproofing leaking basement, leaks basement, foundation water proofing, waterproof foundation, weeping tile installation, leaky basement, foundation leaks fixing, waterproofing exterior and interior.